Thanks to Shawn Rosvold for the photo! 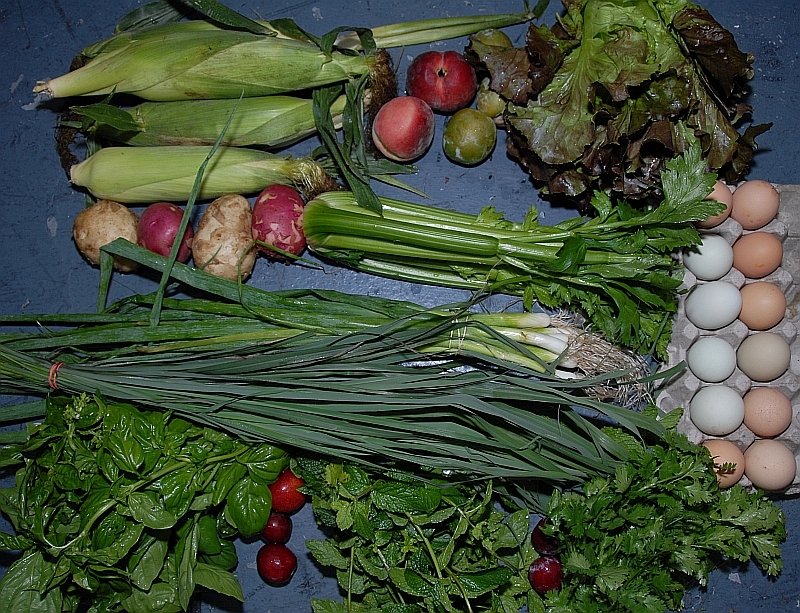 This week’s share included mint, cilantro, lemongrass, basil, red lettuce, 4 ears of sweet corn, celrey, green onions, and 2 lbs each of red and white potatoes. Yum! The fruit share included a pound each of sugar plums, vampire plums, and peaches.